Whoopi Goldberg and Rosie O’Donnell have it out! does Rosie O’Donnell have a problem playing well with others? 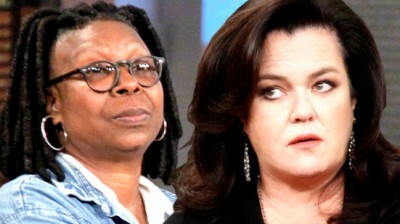 Less than two weeks into their stint as co-hosts on The View, Whoopi Goldberg and Rosie had a heated fight during a commercial break. The war of words occurred during the taping of the show last Thursday when moderator Goldberg reportedly cut O’Donnell off during the show’s Hot topics segment to go to a commercial, according to Daily Mail. Rosie continued to complain until Whoopi had had enough and lost her temper. The show resumed taping without incident after the commercial break. Whoopi has been moderator of the show since 2007. Rosie had been moderator during a stormy one-season run in 2006-07 which included a famous on-air battle with former co-host Elisabeth Hasselbeck. Rosie’s feelings were hurt because she was interrupted by Whoopi who stated it was time to go to a commercial break? What an emotionally stunted adult. She’ll probably use the weight loss as an excuse again for her usual abrasive and unattractive personality. I hope one day to see Whoopi wipes the floor with her. Is this mess still on the air? Both of those foul mouthed broads should have their asses kicked to a land fill. Rosie Perez should have her own show…does her homework…comes off real well! Show lacks vision and great guests like a…Joan Rivers. It might be time to pull the plug on this format though. They are talking heads without great guests at this point..
@Texan-if you’re not a fan of either women, don’t watch the show. 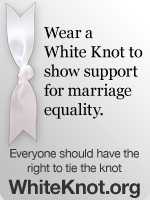 See how simple that is.